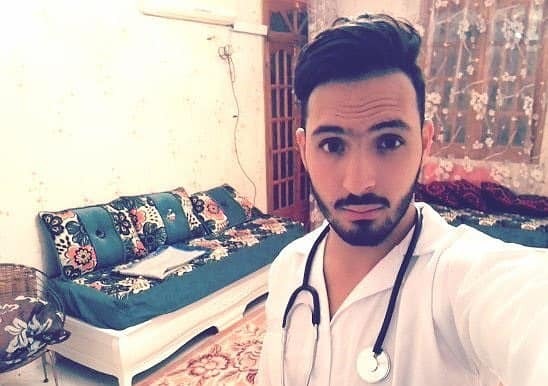 Assil Belalta, a 21-year-old medical student, was murdered in his room on Sunday night in the neighborhood of Ben Aknoun in the city of Algiers in Northern Algeria. Conflicting reports say that one or two attackers slit Belalta’s throat. The message “he is gay” was reportedly written on the wall in the victim’s blood. Belalta’s murder was reported by the Algerian LGBTQ rights group Alouen on Facebook. The group pointed the finger at recent homophobic statements by Algerian leaders. Some reports said that two attackers had followed Belalta home. Other reports said it was Belalta’s roommate who had committed the crime. Students rallied outside the Faculty of Medicine Ziania as a protest against Belalta’s murder on Monday.